While a majority of the most basic material preps will cover you no matter what kind of disaster you are facing and where, certain situations and locales will require additional or completely different approaches. There are few places where this will become more readily apparent than the concrete jungles of major cities. Any large city or proper metropolis will present significant challenges to survivors trying to endure the aftermath of any disaster. And while the basics of food, water and first-aid don’t change, there are some items you’d do well to keep on hand in case you are a prepper living among the tall buildings and lights of large population center. Many of the problems specific to city survival stem from the sheer number of people occupying the city with you. This is not the grumbling of a misanthrope, just a practical observation: more people usually means more problems, either as potential casualties that soak up medical resources, hungry mouths that hoover up food and water, or potential threats to your safety be they criminal opportunists or just desperate. At any rate, combine an enormous mass of people with comparatively few and easily blocked routes of ingress and egress and you will see traffic going both in and out of city grind to a halt. Add in major infrastructure damage and this will further hamper your efforts to evacuate a building or escape the boundaries of the city itself. More bodies also mean more and better vectors for any contagious diseases to spread with rapidity. More people, more problems. Fires are a far greater threat in a city than in less densely inhabited places, and other mishaps and mayhem like gas leaks, sewage and chemical spills are typically less dangerous when populations are more spread out. Bottom line, if you are forced to ride out the aftermath of a major disaster in a city, you’ll most likely be dealing with additional stresses and challenges that you would not in a smaller town. The following items are not specialist solutions, but instead are generalist items that will serve you well in just about any kind of disaster you should encounter while living life in the city. Pry bars are an essential part of any prepper’s toolkit, but life in the city mandates a beefier solution. Compared to its single-hand smaller brother, a proper two-handed crowbar will afford you much greater mechanical advantage when you need to pry open containers, doors and any other closed and fastened lids, latches or portals to get into, or out of, a building. Crowbars are also valuable for holding doors shut when laid across a holder akin to how a board would be. For general purpose demolition and light extrication work, crowbars can get it done, breaking glass and shifting far heavier objects than you could with muscle alone. Compared to suburbia and country living, you are far, far more likely to be exposed to hazardous atmospheric conditions living in the city. Any major damage to structures from any cause will release serious amounts of particulate into the air, and fires will do even more. This is in addition to all of the vehicles (far more than usual) that will be running continuously for the duration. One needs only to look back on the horror of 9/11 in New York City to understand how bad a problem this can be, and the consequences. At the minimum, consider a box of N95 or better disposable dust masks, but a better option is a close fitting synthetic mask that uses replaceable cartridges. This of course does nothing to protect your eyes, so this is one instance where a gas mask makes sense. A gas mask that is new, in good shape and is fitted with appropriate filters can provide protection from all kinds of airborne hazards. Don’t even think of using an old, questionable surplus mask! This is of special consideration due to the greater than average chances riot dispersal agents could be deployed by law enforcement, OC and CS first among them. Like the crowbar above, a good set of bolt cutters can afford you better mobility getting in and out of buildings in a serious emergency. A locked or chained door or gate could very well be your best avenue of egress if you can get it open. This is not for you to snoop and loot while the world burns, obviously, but it is to be used with discretion in order to make headway when more conventional routes are clogged or blocked. Look for a set with long handles and jaws that open wide in order to maximize ease of use and the materials you are able to cut. Advanced models that are designed in such a way to gain maximum mechanical advantage will make light work of the cutting. Don’t skimp out on quality on these. Make sure any set you buy is made from proper metals and treated for durability. Cheap sets will falter even on comparatively weak chains and bolts, even break or maul their cutting edges so badly they become useless. Treat these like the potentially lifesaving purchase they are. Fire is always a major threat to any built-up area and all kinds of dwellings, but nowhere is a fire extinguisher more important than the close confines of city life. Especially if you live in a taller building where you are more likely to have escape routes cut off by advancing fire, a good fire extinguisher can save the day. Compared to your average in-home fire extinguisher, you’ll definitely want to acquire a large and capable unit. A large ABC marked extinguisher with significant capacity will have the reach and quantity of fire-suppressing chemical to quench or beat back a fire long enough to allow you to make your escape. It’s a good idea to get a similar unit to keep in your vehicle to take care of small vehicle fires or any potentially dangerous blazes popping up near a building. 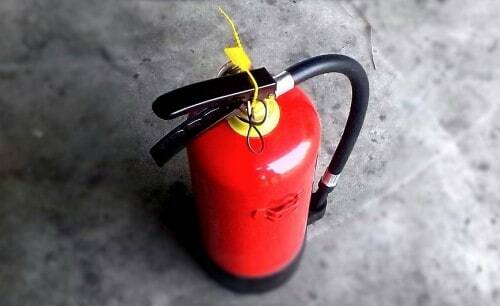 In a pinch, a fire extinguisher has some merit as a self-defense tool; the blinding, choking cloud of chemical will seriously impair or distract anyone trying to attack you. It should not be your first choice for a defensive implement, but do keep it in mind! Protecting ones hands during and after an emergency is always prudent, as any injury to the hands will prevent or greatly slow you from doing the things that you need to do I order to survive. 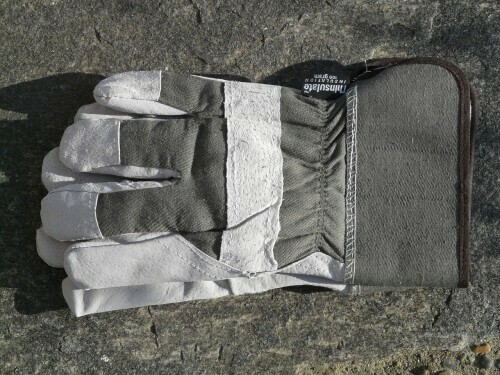 Gloves are the obvious way to afford your hands protection, and it is doubly important to have a couple of heavy duty sets in a city environment. So many many-made hazards will make quick work of even the most work-hardened, calloused hands: broken glass, jagged wire, sharp metal and craggy masonry being the most common. Other threats abound, so keep your hands protected. Opinions vary when it comes to the most protective gloves available, but you will rarely go wrong with heavy duty leather work gloves or the once common heavy fabric white logger-style work gloves. Either is strong enough to ward off the worst incidental contacts and will take the worst off of most penetrating or lacerating injuries should they occur. Don’t act like you are too tough or gritty to skip wearing gloves! Even a minor injury to the hand is highly likely to become infected, and you cannot afford that in a time when antibiotics and doctors will be in short supply or non-existent. Keep at least two pair in your stocks and glove up! 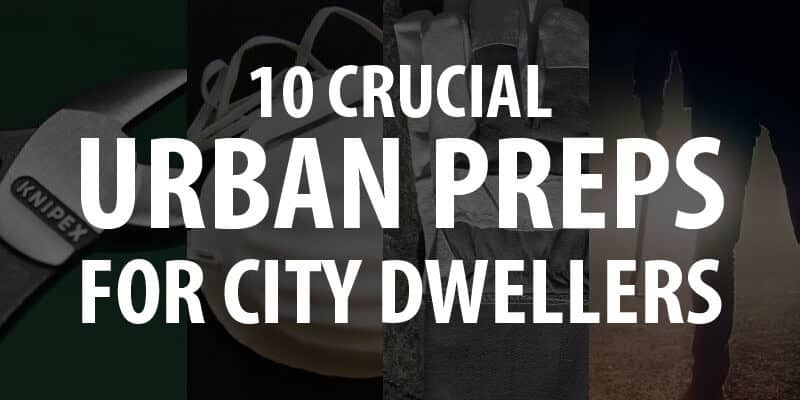 A large roll of heavy mil plastic sheeting is a boon for urban survival. This wonder material lets you solve all sorts of problems, from shelter creation to water catchment and atmospheric protection. Plastic sheeting first and foremost can allow you to seal entryways through which contaminated air may flow, around windows and doors being the most important. It can also allow you to hand it up and tape it down in two sections to create an airlock for quarantine purposes during an outbreak of disease or for keeping radioactive fallout transmission to a minimum if enduring some kind of nuclear incident. Plastic sheeting together with crumbled paper, couch cushions, mattresses and the like can create a warm, snug microclimate shelter in your home or apartment if you are enduring a loss of power in very cold conditions. Making a small “fort” or tent like structure and integrating your plastic sheeting into it will help keep air warmed by your body heat in, letting you stay cozy and safe while the less creative are freezing their butts off. Lastly, plastic sheeting can be used for holding all kinds of fluids or as a liner for doing so. From rain catching to waste control, plastic sheeting gets it done well and cheaply. You could line your tub with plastic sheeting at the outset of an emergency to create a clean basin for storage of drinking water, or use it to make liners for an emergency toilet made from a bucket. Affordable, widely available and invaluable. Make sure you pick up a large roll today. Security is a paramount concern in urban environments in the best of times. Predators are always to be found where the food is, and there is plenty of “food” for in cities for those who prey on their fellow man. 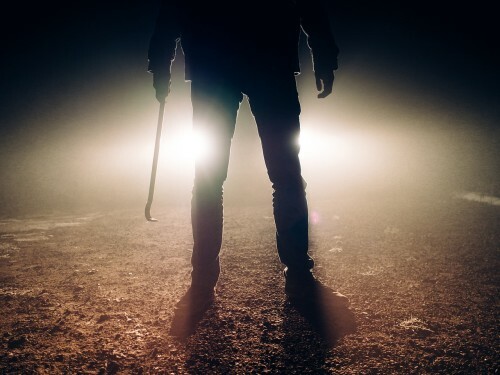 The need for security will be heightened during times of unrest and in the wake of major disasters, so it pays to have a plan for buffing up home security and the tools to accomplish this. This is easier said than done in an environment as permeable to movement as your average cityscape. Most buildings have multiple ways in and out, to say nothing of windows, fire escapes and other interior access points. Enter the Tac-Wedge, a doorstop that looks like a conventional doorstop and a Batarang had a baby. The Tac-Wedge is designed to hinge itself open when inserted under a door or into the crack of an open door and hold itself in place while holding the door open or closed. A saw toothed blade bites into the door while hardened steel spikes bite into smooth surfaces like tile or concrete, meaning it is not simple matter to dislodge this once it is firmly emplaced. For making sure you can get back in past a one-way door, or closing off potential routes of infiltration, the Tac-Wedge cannot be beat for a combination of speed and security. Small, light and affordable, make sure you have a handful in your kit. Like I said above, the sad truth is that security will be very high on your list of priorities if you plan on surviving a disaster in the city. It does not take much disruption of law enforcement for the scumbags to come scuttling out of their burrows to take advantage of the reprieve. Tragically, you may even have to fend off people who, while not evil, are desperate enough to try and take what they need from you by force. You’ll need the means to protect yourself beyond just fists and feet. You have many choices when it comes to weaponry, but the most obvious choices will be a lethal weapon like a handgun as it affords you the range to (hopefully) stay out of harm’s way, or a non-lethal ranged weapon like pepper spray, which will do the same while only inflicting temporary, but debilitating, pain. Other options are close-combat weapons like knives and clubs. No matter which you choose, you must make sure you are following your city’s laws, especially concerning firearms, as many major metro areas are run by Nanny State lovers and they legislate accordingly. It would not do for you to run afoul of the law prior to you actually needing to put your defensive weapons to the test. Also be sure you get the training to use any weapon effectively and safely. American’s are notorious for a deeply help by erroneous assumption that they will magically rise to the challenge of self-defense when the opposite is most often true if you are untrained. Before you treat your weapon like a lucky rabbit’s foot, remember that it did not work for the rabbit. Contrary to the assertion of some, you will not always be able to rely on your cell phone for communications and information after a disaster. It is true that may disasters will not necessarily destroy the cell network, but loss of power and total overload from scores of panicked people trying to get calls and texts out will see your access to the network drop precipitously or vanish entirely. A good hand-cranked emergency radio complete with emergency band alarms and tuning will keep you updated on the micro-scale situation in your city so long as authorities are still broadcasting. A good unit will have a built in light and USB or 12V charger as well so you can keep at least one light going and a trickle of power in your device as long as you can keep cranking. These are old school, but nearly foolproof and will prove to be an invaluable information gathering resource when our modern but more fragile comms systems fail. Even for urban commuters who rely on efficient public transport or have their own car, you will be able to count on neither when you need to evacuate under your own power. As I mentioned earlier, you will be able to count on clogged streets, inconceivable traffic snarls and generally a bad time if you are trying to move out my motor vehicle. Conversely, moving out by foot takes time and lot of energy. Definitely doable, but not ideal unless you already live on the outskirts of a city. A better solution by far is to make use of a good, off-road bicycle. A bike will be faster and save energy compared to walking, and also allow you to carry your BOB using less energy and with less fatigue. By far, the biggest benefit of a bike is that you can carry it! 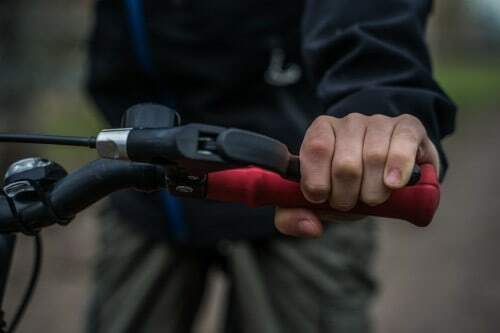 Should you come to a blocked passage that the bike cannot be maneuvered through or around you can easily hoist it up and over the obstacle for a short distance and set it down on the other side ready to resume your journey. For efficiency, affordability and reliability, a bicycle is very hard to beat in an urban environment. Like all muscle-powered machines, their usefulness is entirely dependent on your fitness, so make sure you are keeping your first tool- your body- in shape. 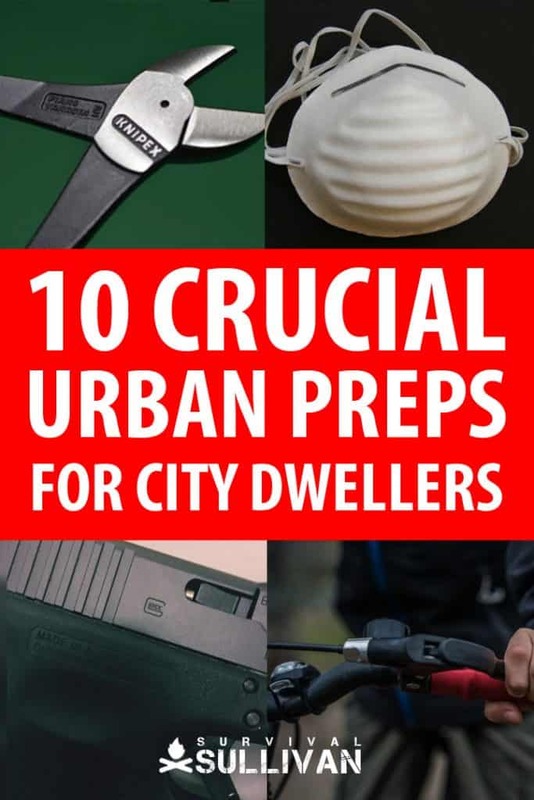 Survival in an urban environment presents several unique challenges and threats for even a seasoned prepper. To best prepare for and defeat these threats, make sure you are stocking up on a few special tools to better deal with your survival scenario in the concrete mazes of man. 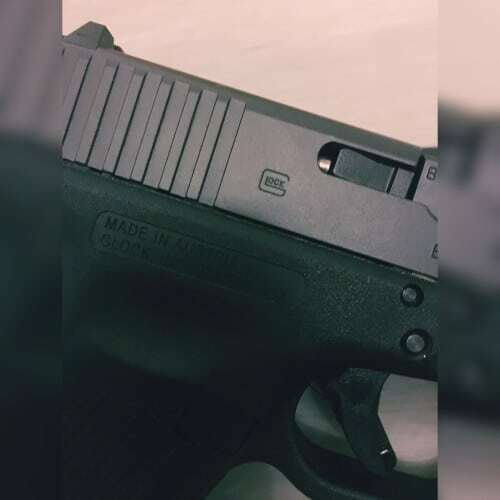 Previous Should You Carry Extra Ammo for Your EDC Handgun? The illustration for ‘bolt cutters’ is a picture of a pair of wire cutters, not bolt cutters. The pic at #3 is definitely bolt-cutters. Unless he has changed the pic in the last day or so, you are wrong. 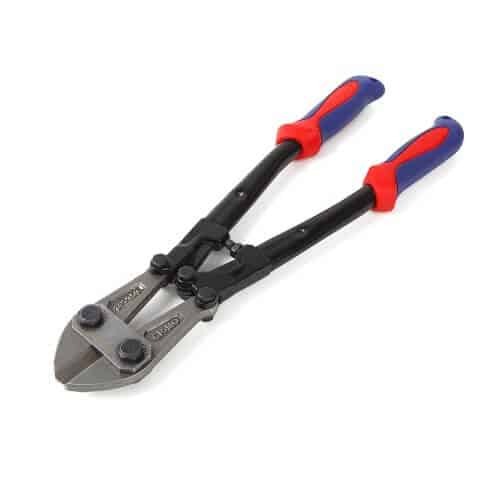 The pic at the bottom of the article is of wire side-cutters. Yes, I changed the pic yesterday. The best self defense weapon for your home or for if you have to go out scavenging is a short barreled shotgun loaded with alternating buckshot and slugs. Alternating (or “candy caning”) load types in shotgun is a very, very bad idea. Load one or the other. What if a shot calls for buck, but you have a slug in the pipe? Or vice versa? The main thing everyone needs to realize is that the biggest baddest offensive or defensive weapons we all have is between our own ears. What I’ve found and I’m guilty of it also even in everyday situations is that we will act before we think. Sometimes it’s the right decision but with me and the gift of hindsight being 20/20 if I had slowed down and thought it through the outcome would have been somewhat more beneficial.